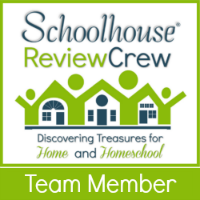 This review is for you homeschool mommas out there; especially those among you contemplating whether homeschooling through the high school years is the right course for your family. The answer is Yes, You Can be Successful Homeschooling the High School Years. The Conversation from Classical Conversations speaks to the heart in helping to formulate what those high school years can look like from a classical approach. Although, our family is very eclectic in our approach to homeschooling, there are lots of valuable helps throughout this book. 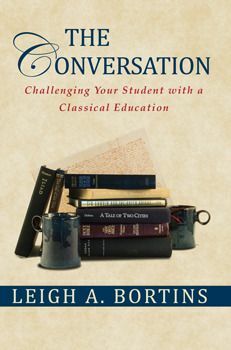 The Conversation written by Leigh Bortins and published by Classical Conversations is a approximately 225 pages of encouragement and discussion in using the classical approach through the high school years. This was written with the homeschool parent in mind, but would also make a great discussion starter as you get your teen more involved and responsible in educational decisions for his present and future. Part 1 are real words of encouragement and explanation to the parent. The first chapter focuses solely on your role in homeschooling your youth and how your confidence is critical. At first glance, that seemed kind of scary. How many days do I wake up feeling anything but confident in schooling or even parenting my ever changing teens? But I found myself running for my highlighter to capture some of the kernels that I came across. I found myself gaining confidence in realizing that the actual schoolwork is my child’s responsibility. There are curriculum sets available that almost feel as if they match the number of the stars in the sky. It is not our job as parents to be experts on every subject our children study. It is our job as homeschool parents to insure that our children have a healthy respect for authority, develop excellent habits in school and life, and provide them with the curriculum that can be used as a tool in learning the content that they need to. We must teach our students to be both wise and humble as they attempt to separate truth from lies and persuasion from manipulation. Some of the best learning that has happened in our home happens around the dinner table. Conversation allows us to really work through the things we learn and then sharpen one another in how to apply this new learning. It helps us to determine truth from opinion, assist us in creating strong arguments in the healthy spirit of debate, and really take ownership for what we believe. It was once shared with me that you never really know what you don’t know until you try to teach. The same principle holds true in using conversation more extensively as a tool in translating learning into wisdom. These chapters in Part 2 provide examples and explanations of how to do just that as you journey through the various subject areas of your child’s education. The examples and explanations provided in these subject centered chapters help to also walk the parent who is educating with the classical approach to see how to apply the 5 canons to each subject. These canons are invention, arrangement, elocution, memory, and delivery. There are many fleshed out examples in each chapter showing how these canons are applied in greater detail. The final section of The Conversation is a group of Appendices. These included Conversation Games, Common Rhetorical Devices, a bibliography of the resources referenced in the earlier chapters in Part 2, and a section where real parents have responded some questions about fears and concerns in homeschooling through the high school years. I am not sure that we are quite ready to shift gears to the Classical approach to educating our children. However, I have a much greater grasp on the Rhetoric Stage of learning as well as the effective way of applying the five canons of Classical education across subject areas. The greatest value, and why I would strongly encourage others to read The Conversation, is what it will do for your family. Between the battle of chaotic schedules and so many interruptions in life by technology and mobile devices, our families are falling apart. This is in large part due to the fact that we just don’t talk any more. Communication and the lost art of the conversation, in person and without text-ese, are critical to maintaining healthy relationships. We desperately need the types of conversations that Bortins writes about in The Conversation not just to bolster our students learning, which I believe it will do, but to save our families and develop conversation itself as a habit in the lives of our teens. A habit we can only pray will continue into the next generation.